Arabian Directory - O Horse! 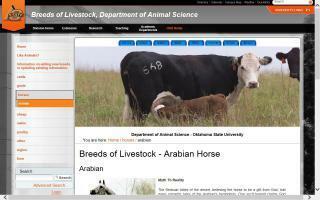 Oklahoma State's breeds of livestock - history and information about the Arabian horse breed. Your guide to the Arabian horse in Canada. Listings for farms, clubs and registries across the country. 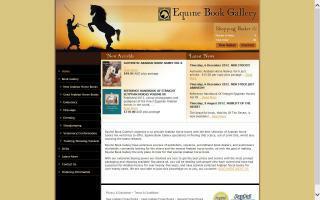 Arabian horse book specialists - We stock some of the world's best selection of Arabian horse books. Do you own purebred Arabian horses? Want to research your Arab's pedigree, but don't have time? I will trace your Arabian's lineage back to desert breds and further where possible. This generally takes about two weeks, and I am only asking $75.00 per pedigree. Polish, Crabbet, Egyptian - it doesn't matter. I will take the time to research your horse's pedigree as far back in time as possible. Horse's name, year of birth, color, and registration number (all where possible) will be included in research. I will list the horses alphabetically and by parentage. If there is anything else you would like included, please let me know and I will give you an estimate for extras. Please contact me via email. Type "PEDIGREE" in the subject line. Include in the email body your name, phone number, official name of your Arabian (include nickname if you like), gender of horse, year of birth, sire and dam names, and registration number. Allow 2 weeks per pedigree. $75.00 per pedigree. 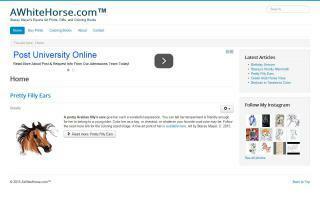 Interactive community for Shagya Arabian, including chat, forums, gallery, articles, etc. Straight Egyptians Arabian Horse Online. Whether you are stopping by our site for a light snack or a full meal of Arabian horse information, your menu starts on this page. The Arabian Network Newsletter is published online by Austin Equine Enterprises. Owner: Jan Austin.